REGINA — According to CFL.ca’s Rod Pedersen, Darian Durant’s injury has been diagnosed as an ankle sprain after X-rays came back negative. Durant was seen limping into the Riders’ locker-room after exiting the second quarter of the Riders’ 40-27 loss to the BC Lions on Saturday night in Week 4 action. Durant went 7-for-10 with 104 yards and a touchdown in just over a quarter of action, the 33-year-old continuing his sterling start to the 2016 season in which he’s now thrown six touchdown passes and zero interceptions. 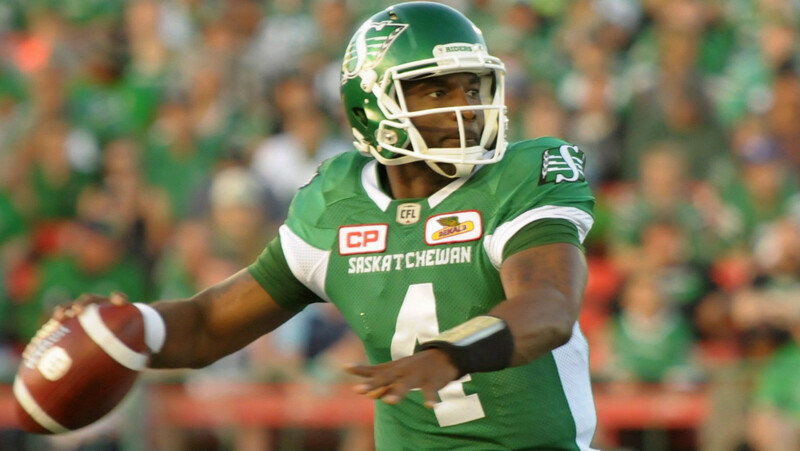 The Riders acquired Gale, the 26-year-old now in his fourth CFL season, from the Argos on July 2 in the trade involving Shawn Lemon. Gale threw for 247 yards and a touchdown on 17-of-30 passing, but couldn’t do enough to help the Riders fall to 0-3 following the loss. There is no timetable for Durant’s return, but he has not been ruled out for Week 5’s matchup with the Ottawa REDBLACKS on Friday Night Football.